AnimalBytesTV - Some bizarre animals live in caves all over the world. These creatures are called troglodytes and have evolved to live in caves. From Olms to cave wolf spiders all the way to the cave dwelling rat snake, these weird animals will creep you out for days. These are monsters found in a cave! 5 Weird Animal Facts: Sea Monsters! AnimalBytesTV - Don’t miss this week’s episode as Jason dives deep into the oceans for some of the world’s most amazing sea creatures. AnimalBytesTV - In this episode of Five Weird Animal Facts, Jason covers animals that glow in the dark. These creatures are not only weird, but glow in the dark scary! 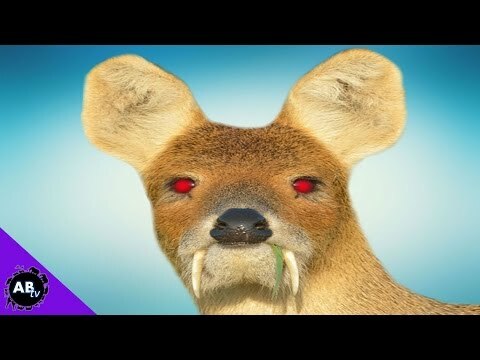 AnimalBytesTV - Check out AnimalBytesTV’s newest show, “Five Weird Animal Facts”! Host Jason Miller gives us a quick, amusing, and highly educational look at some of creation’s most amazing creatures.